There are several threads by Google My Business which talk about suspended listings. From business owners through to SEO agencies who have faced the big red alert on the top of their Business Page altering them to a “Suspended Listing”. This is enough to give anybody heart palpitations.There are lot of things you shouldn’t do with Google My Business and some offenses are more serious than others, and can lead to suspension. 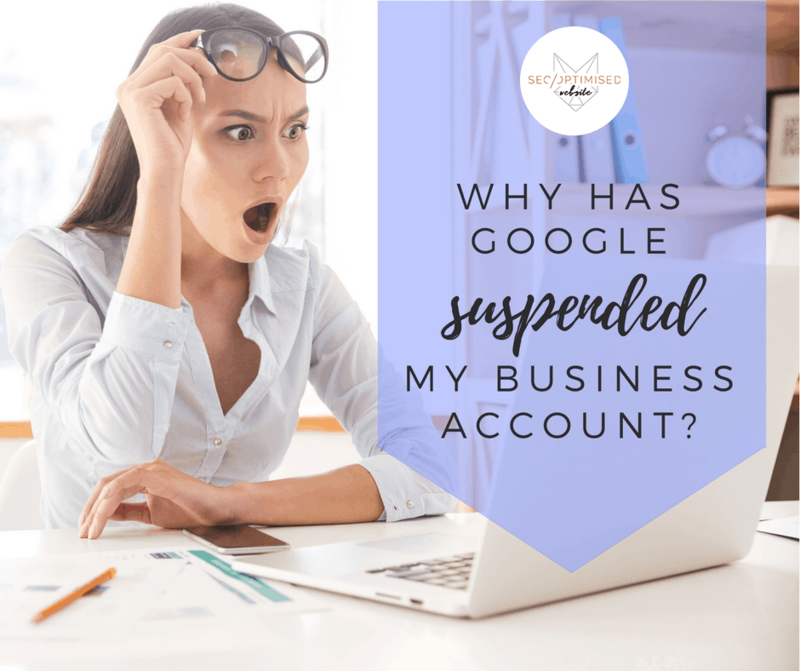 Before we dig deeper on the Google My Business rules that lead to suspension, it’s important to understand few facts about getting suspended. Google won’t disclose the reasons why your Business Page is suspended. An employee from Google will rarely disclose the reason of your account being suspended. Business owners are often curious about the cause of their suspension and want Google to advise which particular rule lead to suspension, however Google usually remain silent. 1. Google My Business issue a soft suspension that removes the ability of the owner to manage the listing. But the good thing is, the listing still shows up on Google search and Google Maps. There is no other way for Google to grant your access back to the listing. You will need to create a new Google account, verify a new listing and refrain from violating the rules in future. You can attempt to have it reinstated, but chances are small because Google only removes it when the listing is not eligible to be listed on Google Maps. 1. Website gets Forwarded to a Different URL. Google doesn’t allow the use of forwarding URLs that redirect to a landing page. If your business listing breaks the rules you will receive soft suspension from Google. Google does not permit the use of unnecessary information to your Business Name according to the guidelines. Also do not include marketing taglines, special characters, phone numbers, product names, services, address to the Business Name. This often results in a soft suspension. Creating more than one listing for each of your business location either using a single or multiple account is not permitted. Google tends to suspend both of the listings – original and duplicate. It will then keep the original listing, but the business owner will not retain control of it. Google recently soft suspended a gun shop and claimed that the type of business is not permitted on Google+. This happened due to a verified My Business listing automatically appearing on Google+. The only option here is to have unverified listing on Google Maps if your business is considered sensitive. Do not create a Business listing with different address from your main business unless it has staff during business hours. This is usually a tactic of some business who wants to create multiple listings so they can also rank in different towns and not just their primary business address. This will end in a serious suspension, and the listings will be removed if Google catches them. Google sends a postcard now with a code to get your listing verified and if no one is in that virtual office, you are not able to receive the code. Eligible business should make in-person contact with consumers but since online business can’t do this, Google recommends that they should create a Google+ Brand Page instead of a Google+ My Business listing. Online business will be removed completely when listed to Google My Business. Listing a class, church service or any ongoing operations that take place in a location you don’t own is not allowed by Google. You don’t have the authority to represent the location you are using for the listing. Some industries have more of a spam problem than others and businesses are treated much more harshly than others for this reason. The Locksmith industry is notorious for this. Many locksmith business had their listings suspended by the Google spam filter. You can post your concern to Google My Business Forum to address the issue directly with Google should this happen to your business.